Knowledge has its burdens to bear. 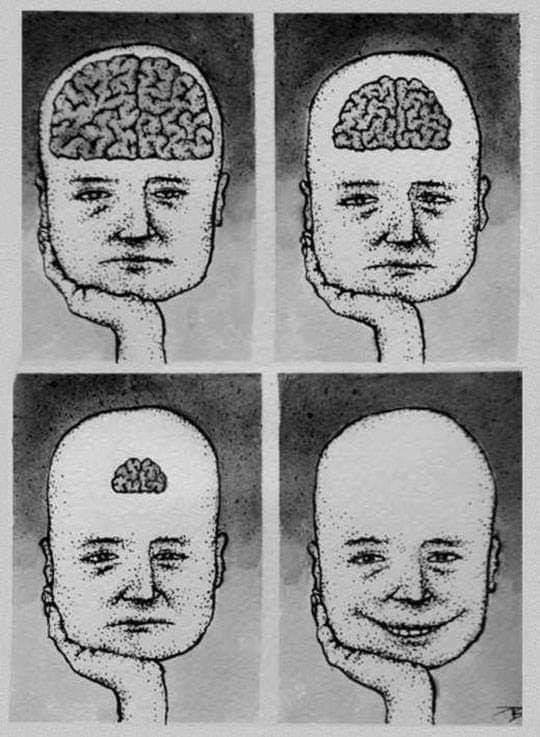 Ignorance really is bliss; the smaller my brain, the bigger my smile. I’m beginning to think that I have no idea of what it takes to be dumb and smiling without the need of having it all figured out. I’m beginning to think that I have no idea of what it is to be dumb, and smiling without the need of having it all figured out. I’m beginning to think that I have no idea of how it is to be brainless and smiling. I’m beginning to think that I have no idea of what it is to be brainless and smiling.